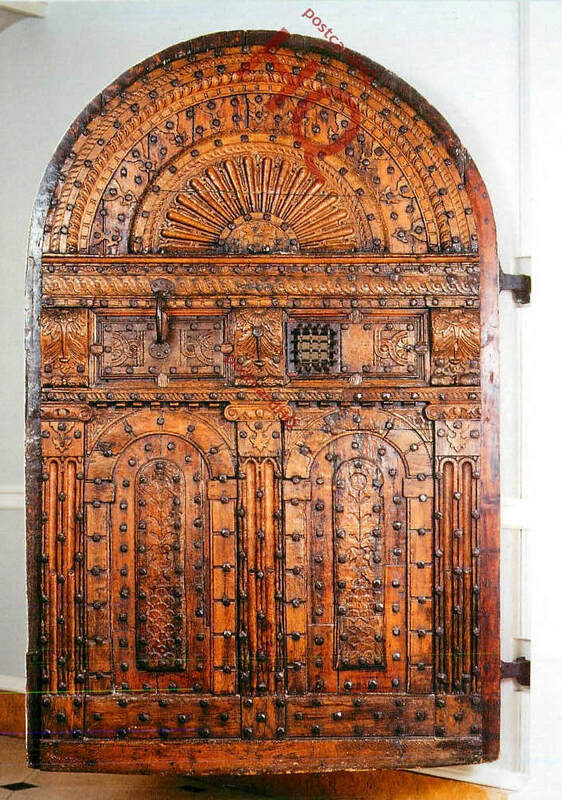 This magnificent 13th century door came from Bindon Abbey. 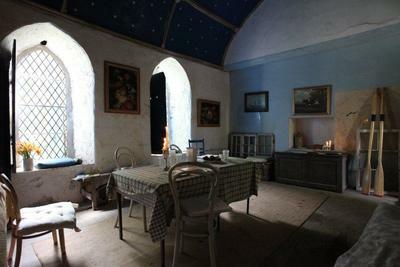 Currently, it is part of Lulworth Castle serving as the west entrance to the basement of the castle. Many thanks to Jacob Newbury for submitting this postcard photo and for his Studies of Bindon. Tap the door for more. 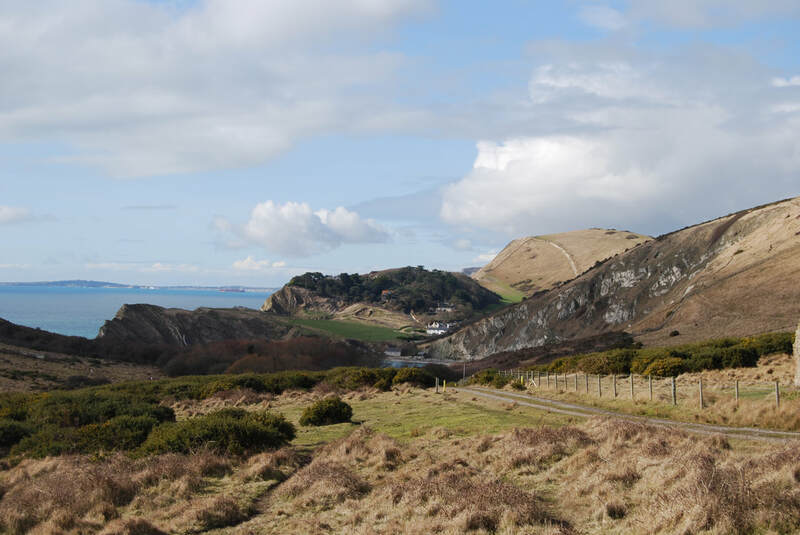 The story of the Cistercians at Lulworth is a fascinating look into the ecclesiastical history of the Newburghs and their varied support of all sects of Catholicism. From the time of the Norman invasion and before, the Newburghs were pious Catholics and supported many different monasteries, abbeys, convents and churches. 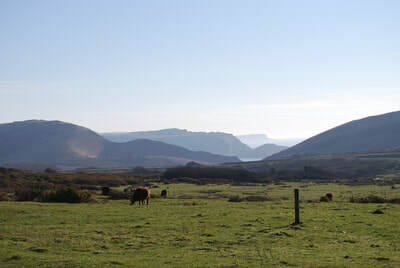 Circa 1150, the Newburghs were involved with the establishing of St. Andrew's Church on the Crown manor of Lulworth St. Andrew, on the east-west Lulworth tract. 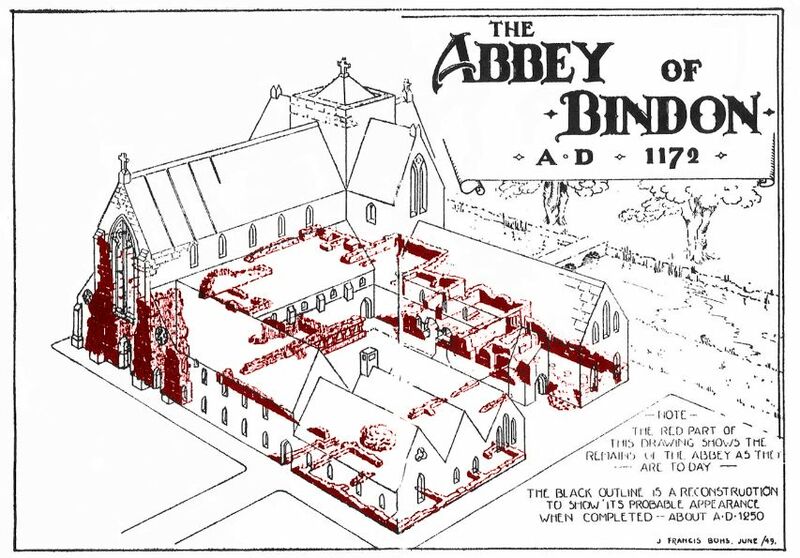 St. Andrew and the first Bindon Abbey seemed to be built during a parallel time frame and were located fairly close to one another just a mile apart. St. Andrews' patron was the Augustinian Priory of Merton, which was established circa 1117 in London. The Cistercians took up land at Little Bindon, on a narrow shelf of land located east of Lulworth Cove. It is thought they began their life there around 1147. 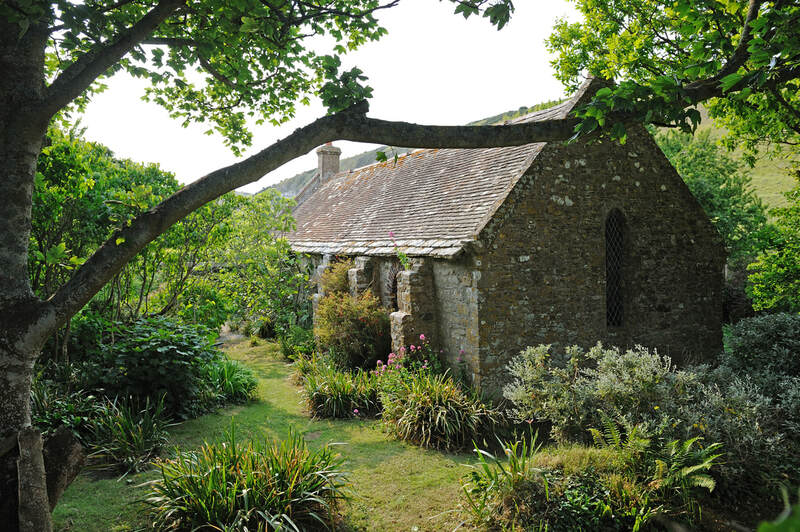 Both the Augustinians and the Cistercians were supported by the Newburgh family who held some of Lulworth in chief from the king, but they also were tenants-in-chief for the Crown manor at Lulworth St. Andrew where the church was dedicated to St. Andrew in 1225. The church had been in existence some years prior to its dedication c. 1150 or before. By 1172 the Newburghs moved Bindon Abbey from Little Bindon to what they termed "Great Bindon" located near Wool. 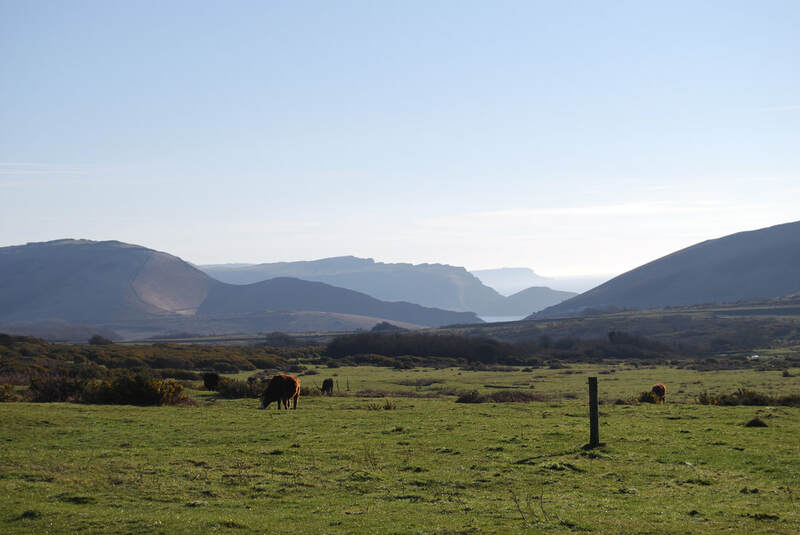 The site was approximated 4 miles inland from the coast. 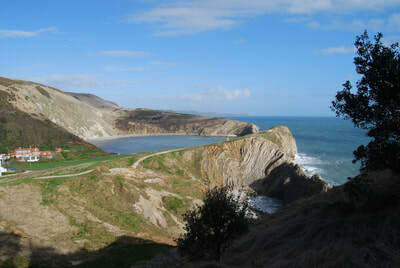 It is thought that the abbey was moved to the inland location due of the shortage of potable water on the chalk cliffs overlooking Lulworth Cove. A wonderful 13th century building is still on the site, known as Little Chapel. Richard Wilkin, an architectural artist lived there for many years and shared his remembrances and photos of the place with me. Little Bindon is part of the Weld Estate of East Lulworth. Photos with permission of Richard Wilkin. After the Abbey was moved to Wool by Roger Newburgh and his wife Maude Glastonia in 1172, it went through many centuries of ups and downs. When Henry VIII took the throne, he dissolved all the religious houses in England in an event known as the Dissolution. By 1536, he began closing and tearing down the abbeys all around the country. Bindon escaped until 1539. Today, little is left of the ruins but hummocks from the foundation mostly covered with vegetation. Thomas Hardy's novel Tess of D'ubervilles was set in part around the old Turberville house in Wool and the ruins of Bindon abbey. Discover a 3D renewal created by Jacob Newbury. ​Click here Studies of Bindon. Bohs, Josephine M., A Short History of Bindon Abbey, Dorset, A Cistercian Abbey Founded A.D. 1172, illustrated by John F. Bohs, Longmans, Dorchester Ltd. 1949. 16 pages. Drawing enhancement/overlay - by Jacob Newbury.